Sandrine Frémeaux, membre du Grace, François-Régis Puyou et Grant Michaelson ont publié dans Critical Perspectives on Accounting. Cet article envisage comment la perspective du bien commun peut aider les professionnels comptables à échapper à la tyrannie de la rationalité économique et à exercer un jugement éthique. 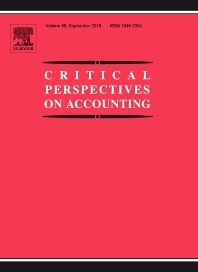 In a context characterised by the scientification of accounting practices and standards, an important question to pose is how might accounting professionals be released from an excessive focus on rationality (technical accuracy, technical neutrality and technical abstraction) and reclaim the profession in the public interest? Grounded in a person-oriented approach, we contend the common good principle can help accountants to mitigate the tyranny of economic rationality/homo economicus notably through greater consideration of public interest, thereby enabling them to exercise stronger ethical judgement. First, the common good can serve as a basis for the establishment of an ethical protocol based on the search for embedded community goods, human development and the personal good of each member. Second, the common good provides specific ethical principles including subsidiarity, totality, teleological hierarchy, long-term commitment, reality and unity that can better assist accounting professionals to exercise ethical judgement and therefore contribute to the public interest. In contrast to defending a strict adherence to ethical rules enshrined in professional codes of conduct, this article argues for an open ended protocol inspired by the common good principle. This will, we contend, better promote the re-contextualisation of accounting practices conducted by reflexive, sentient and publically-conscious practitioners.